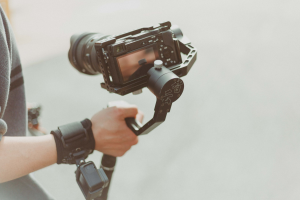 What the experts are saying, like what Ash Read has noted in Buffer Social’s seven secrets of super-successful video marketing is that the making of a video marketing content is very similar to the making of a Hollywood movie. The material can also be a 30 to 60-second advertising flick for an international television network, where the story and moving images that catch the most attention wins the viewership. Ash Read cites the following vital points: First, focusing on exciting stories gets more attention than focusing on sales. One platform is television where an advertisement or branded content can get a lot of viewers. The second platform is social media, like Facebook where an entertaining video can reach the same audience as in a TV network and will compete with a video ad. However, let’s face it. There are branded products that immediately get the attention of viewers and a sales response too. And there are entertaining videos posted on Facebook that don’t get so much attention. So focus on the story. Second, the first video within 8.5-seconds determines whether the viewer will continue watching the story. The time is the average attention span according to experts and holding the attention of the viewer within the measured span means the viewer sees something of value and will continue to watch. Some experts call a quick preview or introduction of a hook, the function of which is to hook the viewer to watch more. And if you want to grab the attention of the viewer, upload a mesmerizing thumbnail alongside your video, to get the viewers excited even before the video is played. Some call this a teaser. A carefully chosen thumbnail can create a first impression. The teaser should suggest that your video is of high quality. Third, if you intend to use Facebook as a business platform, you can select and target audiences for your content. But advocacy can also be a considered ‘social business,’ and we see so much of advocacy videos on Facebook. YouTube is another incredible platform. In a recent article published on eMarketer.com, the Google-owned platform has continued to deliver strong financial results and forceful usage statistics. By identifying and selecting your target audience even before you create the video marketing content, you will be able to produce a video content that is in line with the values, needs, and desires of the target audience, a custom-built video message that viewers could appreciate. A slight difference between Facebook and YouTube is that branded content, and product advertising presentations are the choice of businesses and companies in the latter. Next is you can tell your stories with or without sound, optimizing on silent playback with alluring visuals, text-heavy descriptions, and subtitles. Tech Insider’s silent video about a smart bicycle done in almost 9 seconds generated 5.1 million views.